Originally a family campground, this holiday park also offers a variety of other accommodations. You can choose between two variants of the Staphorsthuisje type: a 4-person (NL-7955-23 pet-free or NL-7955-27 pet friendly) and a 6-person (NL-7955-24 pet-free or NL-7955-28 pet friendly). This charming type, in characteristic Staphorst colours, offers a traditional 2-person sleeping alcove in both variants. The 6-person Luxe mobile home (NL-7955-25) is very comfortably furnished and equipped with modern amenities. This type is centrally located close to the swimming pool and playground. Want the comfort of a holiday house but with the experience of camping? Or just want to enjoy a unique accommodation? Then the Tenthuis lodge (NL-7955-26 pet-free or NL-7955-29 pet friendly) is just right for you! This is a perfect mix of camping and comfort, fully equipped and suitable for up to 5 people. You have a kitchenette with a refrigerator, electricity, heating and a toilet. 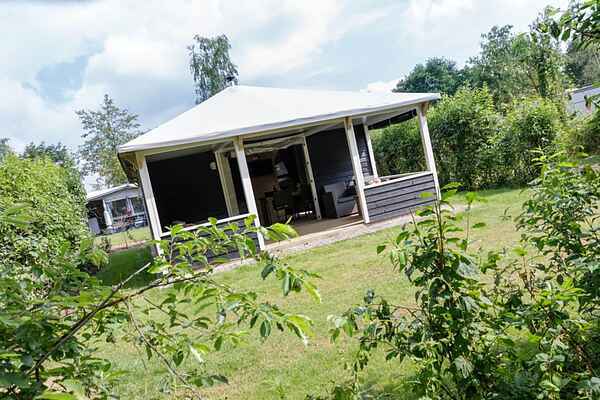 The luxurious heated bath building gives you the opportunity to shower and is close to the Tenthuis lodge. All accommodations have their own terrace/veranda and are equipped with garden furniture.